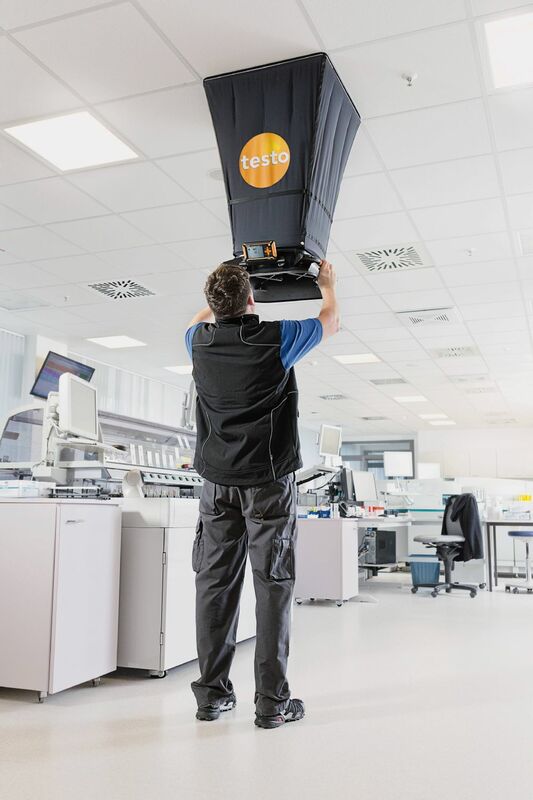 Light, precise and convenient: the testo 420 flow capture hood makes volume flow measurement at larger air inlets and outlets considerably easier. At only 2.9 kg, it is the lightest volume flow hood on the market. And with its integrated flow straightener, the measuring device for volume flow measurement sets new measuring precision standards at swirl outlets. 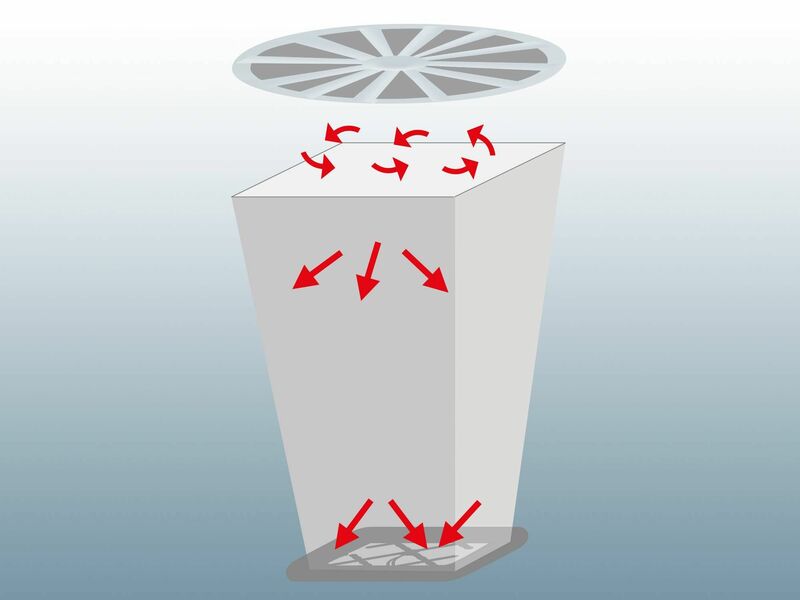 This allows users to fulfil hygiene guidelines and requirements for indoor air quality and volume flow in ventilation and air conditioning systems quickly and precisely, e.g. in industry, office areas or cleanrooms. Ergonomic: uniquely light at less than 2.9 kg in weight (standard flow hood 610 x 610 mm). High-precision: flow straightener significantly reduces the usual measurement errors at swirl outlets. 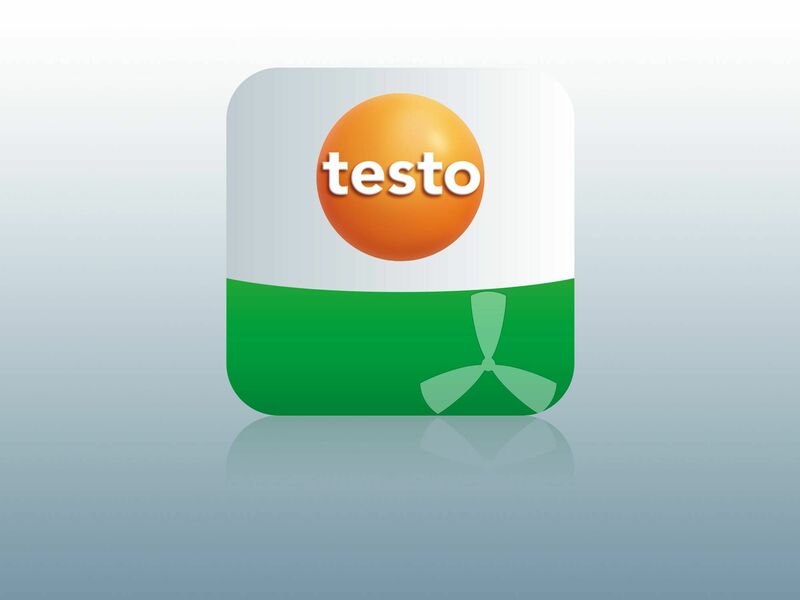 Efficient: fast set-up, easy handling and convenient operation via testo 420 App. Light: unique weight of less than 2.9 kg. You will feel the difference, particularly for frequent measurements. Precise: air turbulence at swirl outlets is pacified. This allows reliable measurement of the air flow. Convenient: the tilting display makes it easier to read out the measuring values. By removing the instrument, and with the corresponding accessories, you can comfortably carry out pressure and Pitot tube measurements too. Smart: the App allows you to use mobile devices as a second display or remote control. With the practical testo 420 App on your smartphone/tablet, you can fully exploit the possibilities of the flow capture hood. Firstly, this means that you can operate the measuring instrument remotely and secondly, that you can send reports by e-mail directly on site as well. App integration for smartphones and tablets, turning these into a second display and remote control via Bluetooth. Particularly practical for the safe use of a tripod for high ceilings. Without an integrated flow straightener, the measurement result can be falsified by air turbulence. Depending on how the flow hits the instrument, the flow velocities measured are either too high or too low. Flow straighteners pacify the turbulent air so that it hits the measuring instrument in a uniform way and can be reliably measured. 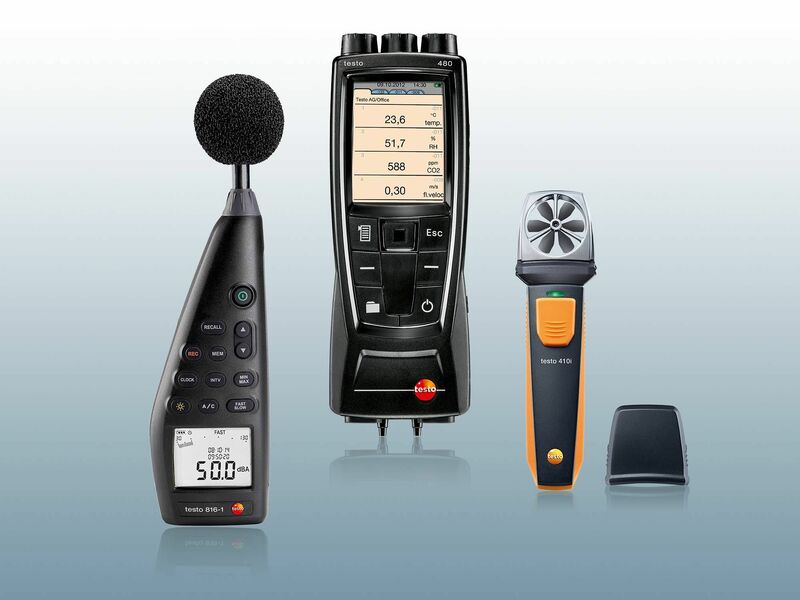 A sound level meter measures the noise level of HVAC systems, amongst other things. Why is this important? With air conditioning and ventilation systems, it is not just a case of these being correctly set in terms of the volume flows and of rooms having adequate fresh air supply or used air extraction. That is merely the obligatory element. The voluntary element: the systems not only have to carry out this task in line with the specifications, but also as quietly and unobtrusively as possible. And this is precisely where the sound level meter comes into its own. It enables you to quickly determine the extent of the noise pollution from a system. 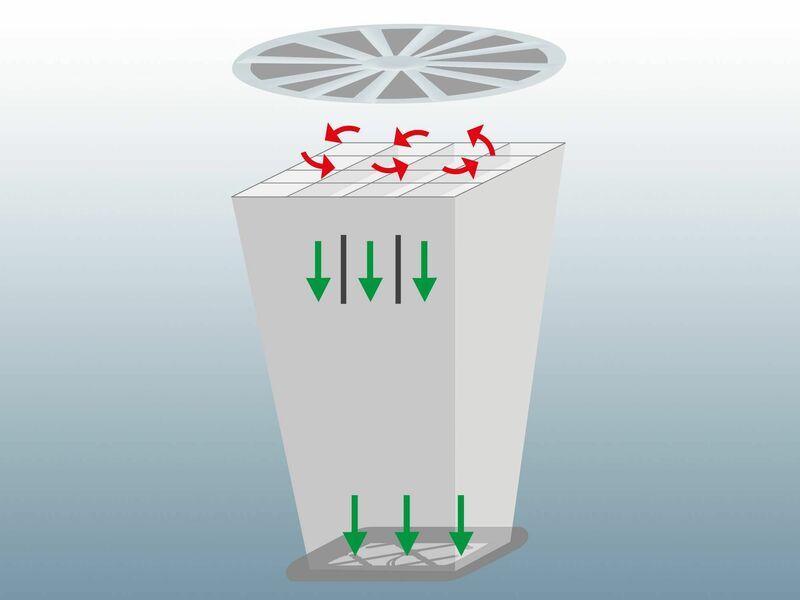 Vane anemometers measure flow, airspeed, air temperature and humidity at outlets or in ducts, amongst other things. A thermal anemometer works without a vane and is above all used for the measurement of flow velocity, temperature and humidity directly in ducts or at outlets. Unlike a volume flow measuring hood, this measuring device for volume flow measurement can often be employed as a multi-function instrument. The uses of a multifunctional flow meter therefore include volume flow measurement in ducts/at outlets and determination of comfort level or evaluation of illuminance too.